Use to tighten and loosen 15mm and 22mm compression fitting nuts. 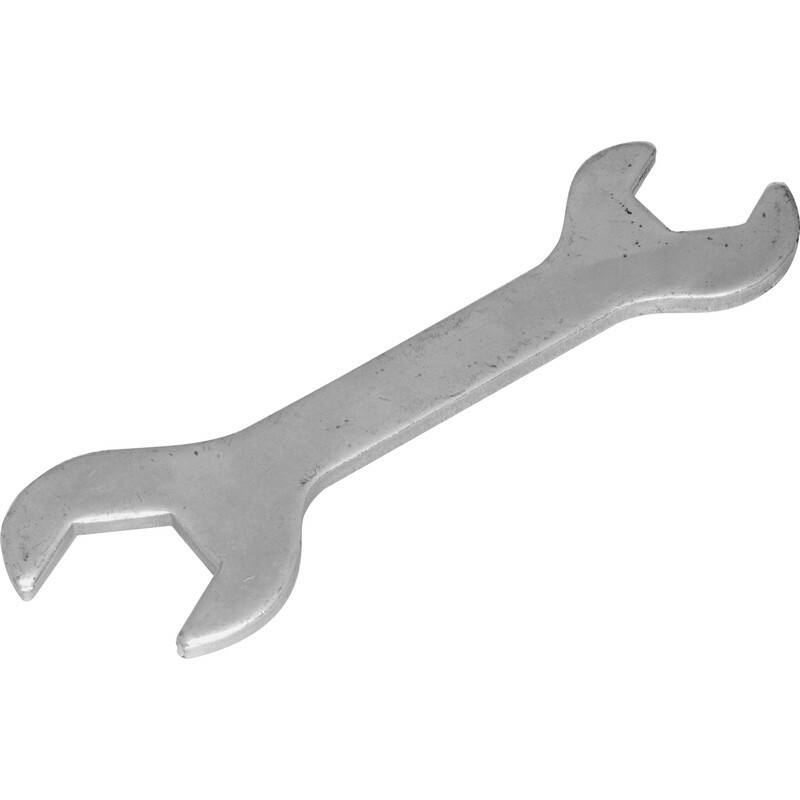 Compression Fitting Spanner 175mm is rated 2.6 out of 5 by 9. Rated 5 out of 5 by IG42 from UNDERRATED This will work fine on the 26 and 32mm hexes used typically to unite 15 and 22mm tubing. Of course if the across flats are not 26 or 32mm ( as must be sometimes) it is no use. Not fair to describe as a Meccano spanner as if a lightweight disposable tool included in self assembly kits. It measures 173x52x4mm and weighs 120 grams. Rated 1 out of 5 by aeroscotia from avoid! Avoid! AVOID! I thought that this product couldn't be as bad as some other people said in reviews so I thought I'd try it. They were right. It doesn't even fit compression fittings. It's completely pointless. Rated 5 out of 5 by S M D from Quality item Well made,worth having in the toolbox to speed up fitting radiators!